Many people want their dogs to look beautiful and because of this dog clothes have become very popular. Apart from the dog toys, the other thing that has become so popular nowadays is proper clothing for pet dogs. There are many different outfits and costumes to choose from and it is quite difficult to choose a particular one from them. You need to decide whether the clothing is for any particular purpose or purely to make your pet dog look fashionable. Although dog clothes have always been a common thing for many years, it was for a particular reason in the past. 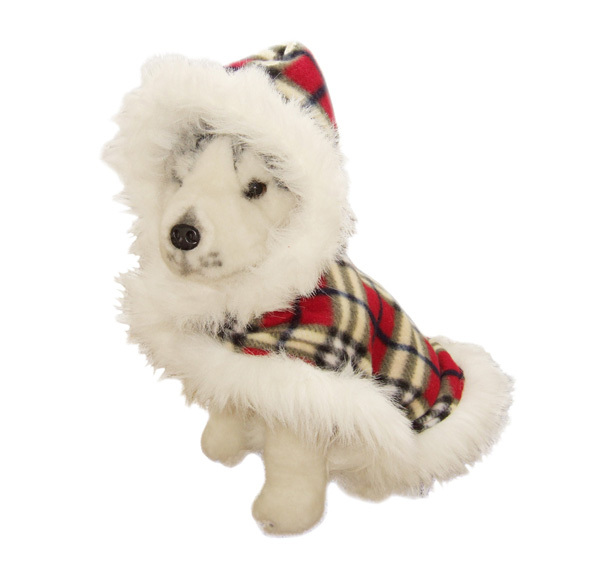 For example, clothing was chosen for pet dogs to keep it warm during the winter months. Also, the traditional dog clothes were far from fashionable in the past. It has changed entirely in the recent years and as a pet owner you can buy many different types of clothing that are very fashionable. Even the designer clothes are available for your dog and these types of clothes will look fantastic and make your dog stand out in the crowd of other dogs. You can also buy holiday fashion dog clothes and you will surely love to dress up your dog in themed fashionable clothes. Your dog will also love to be a part of the special day having their own special outfit to wear. There are many designer dog clothes to choose from that are specially customized and suited to dogs so they will feel comfortable when wearing them. Also, the dog clothes come in many different color and pattern and you can also have them customized according to your wish. When visiting a modern dog clothing store, you will be amazed to check the collection of various types of dog clothes. While the stores may offer modern dog clothes like jackets, shirts, collars, waistcoats, and even shoes all customized specially for dogs. You will often be able to find whole outfits that match and look great. Before you visit a dog clothing store, you need to carefully measure your dog so that you need the exact size of the clothes you will need to buy for your dog. No matter which type of dresses you choose, you need to make sure that the clothes you choose keep your dog comfortable. Your dog should feel comfortable while wearing the clothes and can move freely. It is also important to check about the easiest way to get your dog in and out of their clothing. In most cases, dogs will love to wear any clothes. However, if your dog resists doing so, you should not force him to wear the clothes and should take it off. Dog clothes are available in every pet store and there are even boutiques that are especially designed for dog clothing. You can also go online and find a range of online pet stores offering the best kinds of dog clothes at the most affordable price.